Comment: Yard is in the shade at least half of the day. Need to have grass that can tolerate the heat and shade. Comment: I am looking for a company to spread mulch in my flower beds in my front and back yard. Front yard landscaping is a large area. Comment: I want to put in a stone/brick border around a new garden which will be in my side yard. the primary purpose of the garden is to have a bit of color. Side yard gets west sun in the summer and is on a very slight grade. Comment: I would like to get an estimate for getting some landscaping done at my home. I am really looking to get some flower beds added on either side of the walkway up to my front door. Flower Mound Landscaping Companies are rated 4.82 out of 5 based on 772 reviews of 65 pros. 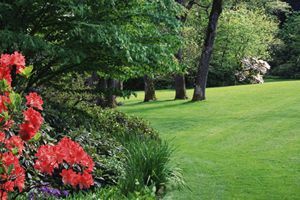 Not Looking for Landscaping Contractors in Flower Mound, TX?